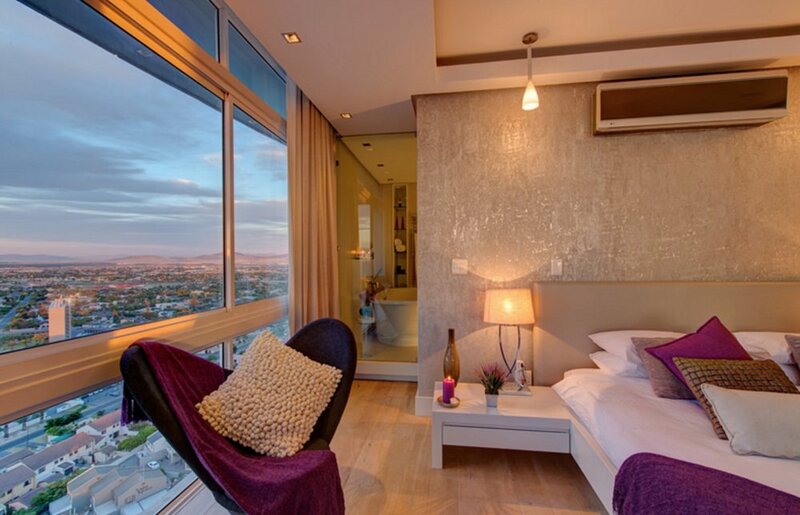 The highest penthouse in Western Cape - fit for kings and queens. As the doors open from your private elevator into the 350 square meter apartment, you know immediately that you have made the right choice. With two indoor lounges, two outdoor lounges plus plunge pool on the private outside deck, fully equipped kitchen, plus 3 en suite bedrooms, this is the perfect place to go at your own pace on your self-catering holiday. We can provide a shopping service with items of your choice to be stocked on your arrival. 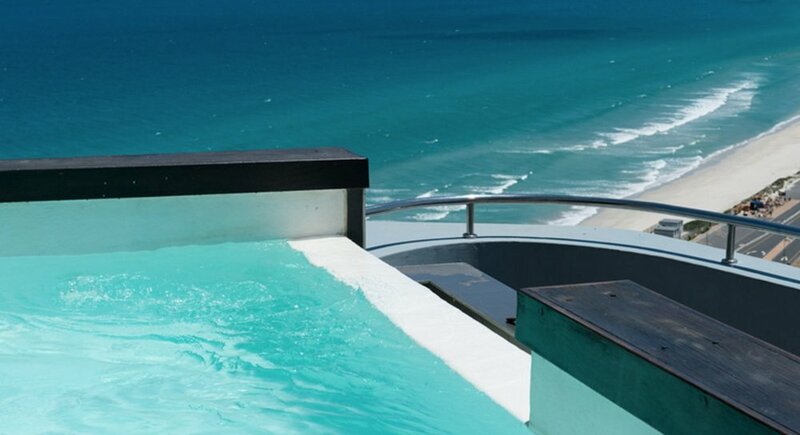 The Penthouse on Beach is the highest Penthouse in the Western Cape, South Africa (17th floors above the ground). 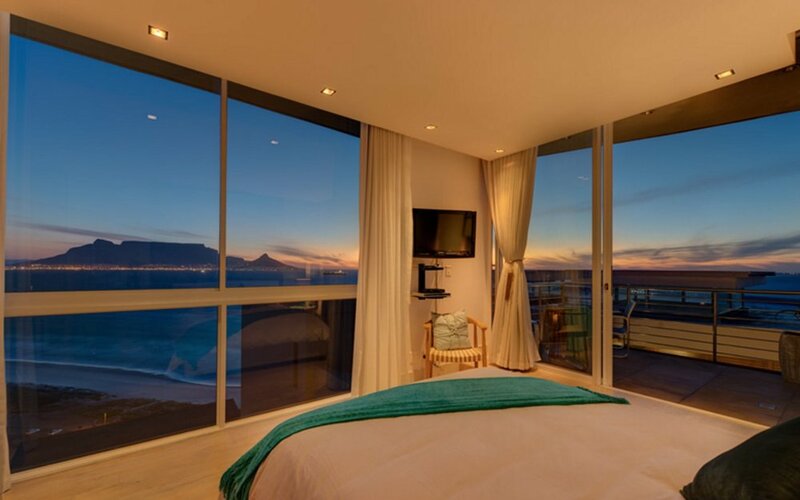 It offers views of incredible historical landmarks in the city, including Robben Island, Blouberg beach and all the kite surfers, and a port-hole window made just to view Table Mountain. This is not just any normal kitchen, it was like Table Mountain has been placed there to capture the perfect panoramic painting of it... The views are spectacular anytime of the day. Book out the Penthouse on Beach for a group of friends or family of up to 6 guests, and enjoy living your holiday at your own pace... your own exclusive cloud-high space with private elevator access. The deck at sunset with a bottle of bubbles on the side would be the perfect end to anyones day! Penthouse on Beach features 3 en suite bedrooms, all with sublime perfect views. Since this is a self-catering unit with exclusive use, it means you get to choose your room (and view!). Most definitely our favourite place to relax and unwind having the vast Atlantic Ocean on the horizon. On warm summer nights, taking a swim with all the city lights twinkling below is a must-do experience. You'll soon find this is truly the best of the best Cape Town has to offer. Bloubergstrand is a paradise for surfers, kite surfers and general sun seekers. It is one of the longest beaches, where you can walk for hours. A handful of restaurants are within walking distance from the property. A short drive will take you up towards Melkbostrand, where the beach is just endless. It is advisable to have your own vehicle - there is simply too much to explore around. It is approximately 25km from Cape Town International Airport - depending on traffic a 30-45 min drive. Feel free to explore Penthouse on Beach surrounding area with this Google Map. Ready for a Visit to Penthouse on Beach? One of our South Africa travel specialists will be glad to assist you further. Use this space to provide more details such as your travel dates, number of guests or any personal needs or preferences. 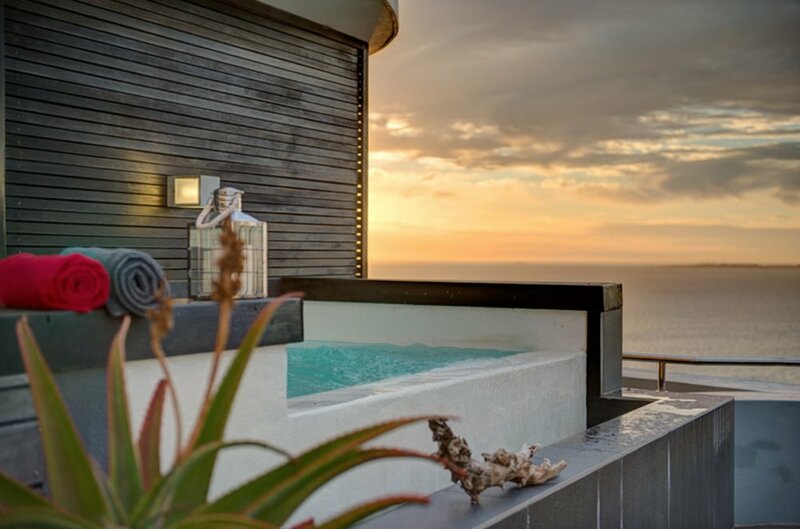 The best boutique and luxury hotels in Cape Town with 5-star views. Hotels in Camps Bay, Clifton and Waterfront areas for a perfect Cape Town stay.